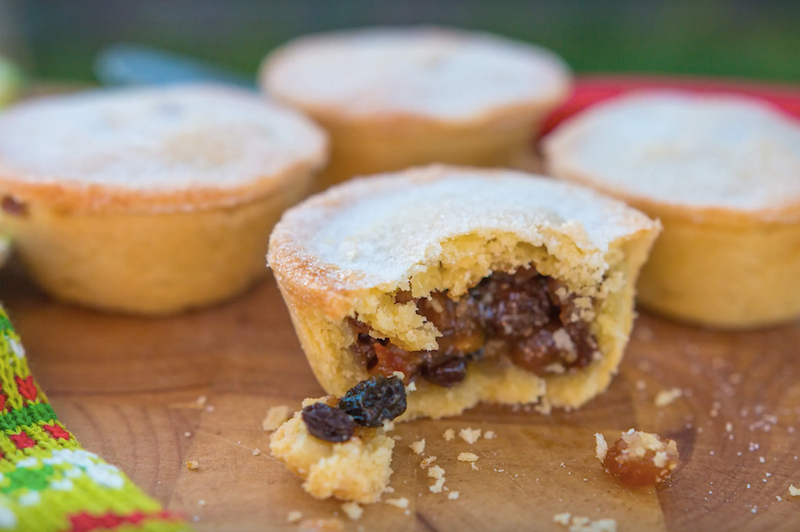 Delicious sweet short crust pastry wrapped around the best homemade mincemeat. It must be my second favourite mince pie. In a large bowl add the flour and then the butter. Using your fingertips rub the butter into the flour until you have a fine breadcrumb texture. Stir in the caster sugar. Add the egg yolks and use a fork to mix through the flour until the mixture starts to ball together. Add as much water as necessary and gently press into a large ball and then chill in the fridge for about 30 minutes. Once the pastry has chilled remove from the fridge and roll out the pastry on a lightly floured surface. Roll the pastry until it is about a 1/4 inch thick. Use a 3.5 inch and a 3 inch cutters and cut out 12 of each size. Place the larger sized circle into the base of your patty pan, fill with 1-2 teaspoons of mincemeat and then use some of the egg white to brush around the edge of the smaller circle before ‘glueing’ on top of the mince pie. Press gently around the edges to seal the mincemeat inside the pie. 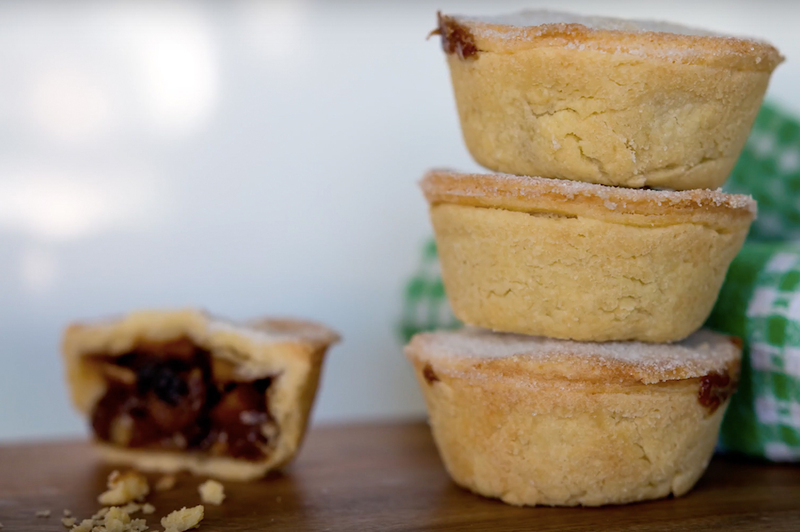 Now make the rest of the mince pies in the same way. Brush some egg white over the top of the pies and use a sharp knife to make two little slits on the top to allow the pressure to release. Sprinkle with caster sugar before baking.